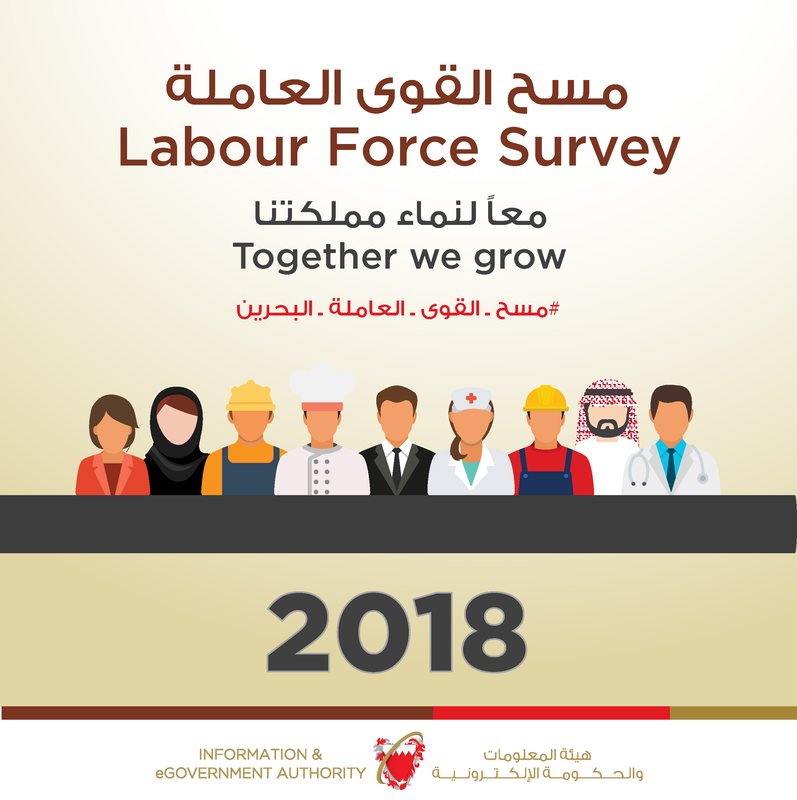 Information & eGovernment Authority (iGA) field work teams continue to carry-out the Labour Force Survey and their exerted efforts to cover during the current year all the targeted samples of 4,500 Bahraini and non-Bahraini households that also comprise the labour camps throughout all governorates in order to achieve the desired objectives reflected in measuring the size of the local and foreign labour forces along with level of production and activities promoting the national economic growth to achieve the goals of the Economic Vision 2030. Following the announcement of initiating the project, iGA explained that the team which comprises of 27 iGA Statistics employees began their field work during the beginning of this year according to the set plan. The team is composed of supervisors and field researchers along with a call center responsible for arranging field visits of targeted households as well as setting appointments to visit them at their convenience. The Authority stressed that the field visits are smoothly, directly and remotely monitored by supervisors through laptops equipped with the latest communication means. Field researchers fill the survey’s e-Forms which are then sent to supervisors to ensure all requirements are completed for office teams to review, verify, process and audit the data which are then analyzed according to the prepared statistical tables to extract the required data. The Information & eGovernment Authority values household cooperation with field researchers, understanding its importance and their contribution in making this survey a success with its massive positive outcomes. The Authority urges other targeted samples, citizens and residents, to further cooperate with field researchers to make this national project a success. It also urges them to provide accurate data and information while assuring them the confidentiality of their personal information – without disclosing or utilizing such information for purposes other than statistical means in order to achieve the desired objectives and ensure continuous flow of updated, high-quality data that are in accordance with international standards. Furthermore, enables the wise leadership to set plans as well as economy, social and developmental strategies. The survey aims at measuring unemployment, employment, participation, economic dependency and wages according to several variations. Moreover, it aims at providing data on training programs for job seekers and identifying their past experiences. The survey is implemented in accordance with international frameworks and standards as well as relevant to the necessary indicators of distributing International Monetary Fund data that cover the requirements of the Sustainable Development Goals indexes. The survey is conducted in line with the Economic Statistical Strategy Plan – approved by the GCC Supreme Council, supervised and implemented by the GCC-STAT Center in collaboration with the national statistic entities. The importance of the survey in collecting accurate, reliable and comprehensive information is to become focal point in preparing Kingdom’s development plans as statistical data contribute primarily in the forming objectives, strategies and policies of the economic and social development.